Your strata management ensures that the interior and exterior of the properties you manage are in tiptop condition. A building’s finishings are just as important as its structural integrity; keeping the paintwork in good nick is necessary to maintain its pristine image. A building’s outward appearance is the reflection of professional and orderly strata management. Painting is costly and takes time. A simple web search reveals a plethora of professionals is only a phone call away – all willing to do the work – but their eagerness doesn’t guarantee a professional finish. Finding a suitable contractor shouldn’t take up all of your precious time. Save yourself unnecessary admin and expenses by helping your body corporate committee to choose the right contractors, the first time around. Let’s pretend your body corporate committee have hired contractors and something goes wrong on the job. Do you know who to speak to? How can you be sure the person responsible for the mishap won’t pass the buck? It’s in your best interest for someone on the strata management team to have an organisational chart showing the responsibility within the contracting company, including names and titles. This clarifies reporting lines and establishes a clear channel of communication. Your committee's chosen contractor should demonstrate commitment to the environment, safety and high-quality work. They should also have the technical skills, qualifications or certifications needed to complete the job, as well as the equipment, facilities and experience to perform industrial painting jobs. For example, a company like Higgins Coatings has an industry leading tri-certification accreditation in ISO 9001, ISO 14001 & OHSAS 18001. A reputable contractor will belong to at least one, if not more, professional trade organisations. These institutions include the Master Painters Association, The Painters Registration Board, Dulux and Accredited Painters and the Painting Contractors Certification Program. You can call the relevant organisation to find out if your contractor is a member. If not, proceed with caution. Does the chosen contractor have a good reputation and sound business ethics? Before you recommend anyone to your committee, it’s a good idea to shop around and ask for more than one reference to get an unbiased view. For example, Higgins Coatings established itself on the founding principle that “the quality of the service is as important as the quality of the finish”. Consequently, we are now the preferred painting contractor for Strata Community Australia. Ultimately, the quality of the paintwork is the responsibility of your strata management company. You’re facilitating the process, so make sure the job is well done. State the expectations of you and your body corporate committee from the start. For example, if you want a surface that’s free from previous uneven paint jobs, then tell the contractors. Don’t assume they’ll meet your expectations if you don’t communicate them clearly. Evaluating a painting contractor and facilitating the process should be a simple part of strata management. At Higgins, we pride ourselves on fine quality and solution-based services. With over 65 years of experience, find out why we are the National Preferred Painting Contractor for SCA. For additional information about strata painting, you may also be interested in The Strata Manager's Guide To Painted Properties. 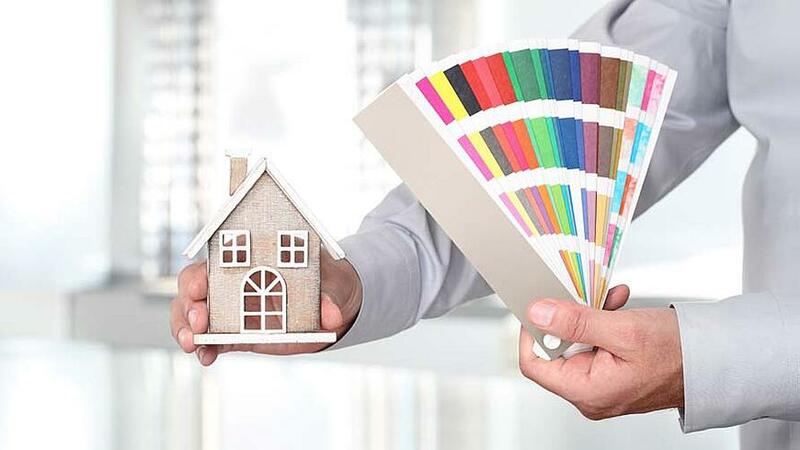 Higgins Coatings is Australia's premier commercial painting contractor with over 65 years of experience in providing a cost-effective painting service and tailored maintenance solution. As the preferred painting contractor for the Strata Community Association (SCA), we help strata managers plan their painting requirements and execute them with minimal disruption to residents. Contact us for a consultation.